VoIP lets users communicate over their internet connections instead of phone lines. This means that they are able to get the same services that come with traditional telecommunication without the high cost. On top of that, there are many benefits that are unique to VoIP that make communicating easier and more streamlined. Scotland-based VoIP service provider Incovo recently published the results of a survey they conducted to find out the main reasons why small business owners switched to VolP. The most common reasons were more reliability, company growth, lower price, more functionality, better quality, better support, remote accessibility, ease of use and better security. The overall cost of VoIP is lower than with other phone services, because providers do not need to pay to maintain the expensive phone infrastructure. They are then able to pass on their lower operating costs onto their customers, allowing VoIP users to save money. Businesses will also decrease new expenses when switching to VoIP if they already have an internet connection that can support VoIP traffic. Users of VoIP will be able to communicate in a variety of ways. They can use VoIP telephone systems, giving them a familiar setting, or they can use their laptop or other mobile devices to make calls while out of the office. VoIP is not limited to just audio – users can set up and join video calls, which are perfect for virtual meetings. VoIP is a great way to keep employees more organized when communicating. Missed calls can automatically be sent to a VoIP user’s email inbox, allowing them to access all of their messages in one place. Computers can be used not only to make or receive a call, but also to store contact information and record calls. Early VoIP services were hindered by intrusive quality issues. However, with the constant increases in the technology supporting it, users of VoIP are able to avoid most of these issues. VoIP friendly routers and network prioritization further decrease the likelihood that echoing or de-syncing will interfere with the quality of a call. As technology becomes even more advanced, the already high quality of VoIP will increase even more. 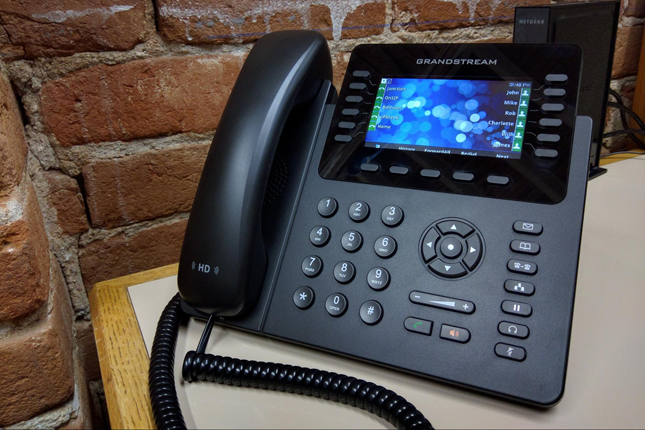 If you currently have a landline phone and want to enjoy these features and benefits, then consider switching to VoIP for your business’ communications. Get in touch with us at SJP Network Solutions to find out more.